The only home for rent in Kupuri, Punta Mita's newest, most exclusive enclave Estate Cruz del Sur sits above a private, white sand beach, with gentle waves perfect for swimming or snorkeling. 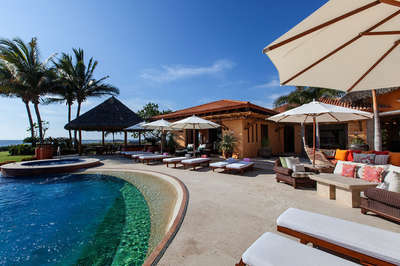 Whether you are taking a long morning stroll along the deserted beach or doing a yoga class in the palapa, watching the whales play in the bay from your private terrace, or enjoying a margarita in the cocktail pool as the sun goes down, Estate Cruz del Sur is the perfect home base for your Punta Mita vacation. Punta Mita is the destination of choice for discerning travelers. 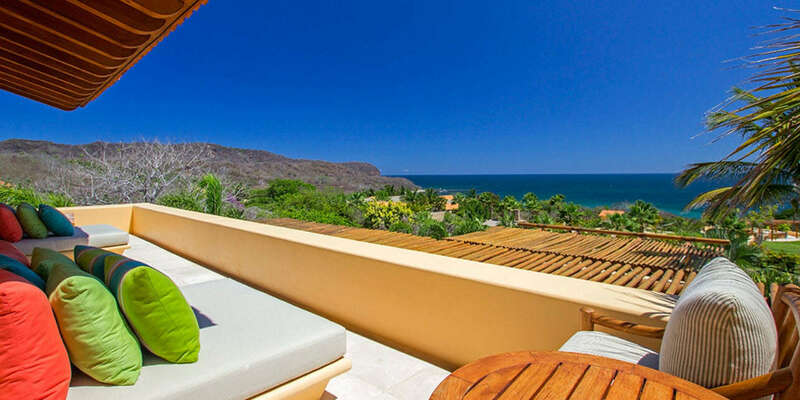 With its year round sunny climate, two Jack Nicklaus golf courses, nine miles of sandy beaches, world class dining and spa services, ultra-secure gated community, and proximity to lively Mexican villages, it provides the perfect beach vacation. Surround-sound movie system and media room. Infinity edged swimming pool and palapa.